The Brasfond Group performs through Brasfix, foundations for exploration platforms with embedded or submerged equipment. 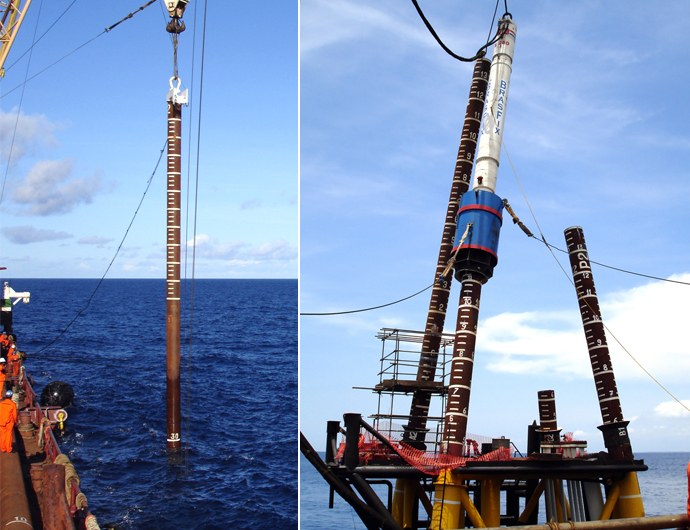 Among the activities developed by Brasfix for foundations for exploration platforms are the drilled shafts and pile driving for platform jackets. 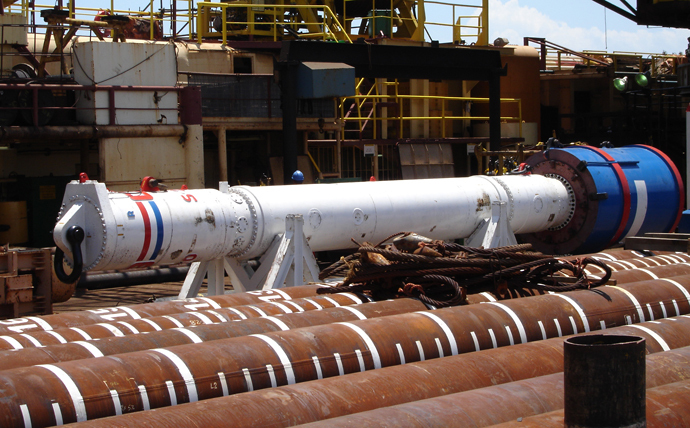 The drilled shafts has become ever more popular due to the practicality and speed of installation and its adaptability in different soils as well as giving the advantage of being able to reach depths of up to 330 ft.
Submerged pile driving for platform jackets is performed with use of IHC hydraulic hammer, suitable for all types of driving, are concrete or metal. It can work submerged and at any angle, including horizontally. Pile driving for exploration platform jackets.